There are lots of trusted online pharmacy stores in Nigeria that sell drugs and other pharmaceutical products, this post will list those registered in the pharmaceutical industry that operates online and are reliable, their contact phone numbers and website addresses. Its no news that medical equipment, drugs and other pharmaceutical products are now being sold on online stores like Jumia. Drugs are chemical substances prescribed by a pharmacist or medical practitioner to an ill patient(s) aimed at reviving or curing such patient(s). In order to meet the growing demands of the people and to provide easy health services, many pharmacy companies in the country started providing online pharmacy service by selling online in Nigeria to make the access of purchasing drugs easier and convenient. 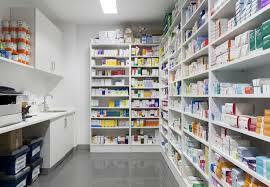 This article will help you identify the best pharmacy stores in Nigeria, so that you would be better informed when choosing the right online pharmacies to buy drugs, medicine or other pharmaceutical related products. This pharmaceutical company deal on many health related products such as complementary therapy products, diet and weight loss products, eye care products, family planning, first aid kit and materials, medicines, vitamins and supplements, beauty and skin care products and a host of other health products. They also offer clinical services in Nigeria. 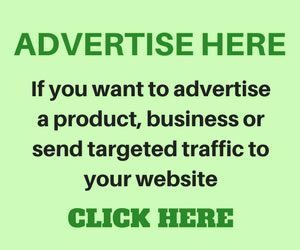 The drug store online pharmacy website is www.thedrugstorelimited.com, you can also contact them through these phone numbers: +234-92911236, +2347044389611. This online Nigerian pharmacy store offer free home delivery service in Lagos only. They deal on health books that has DVDs, diet for weight loss products, vitamins, nutritional supplement, pain relief drugs, medical devices, sexual wellness products, food , dressing and antiseptic etc. Megacare Nigeria office is located at Obafemi Awolowo Road Ikoyi in Lagos state. Their official website is megacareonline.com. Malbo online pharmacy is stashed with medicine, health and fitness products, beauty care products, medical care, mother and baby health products, toiletries and household products. They can be located through their website at www.malbopharmacy.com. They also offer free delivery anywhere in the nation when you place an order with over twenty thousand Naira on their website. Big cross pharmacy is a top Nigerian online pharmacy that is based on the delivery of health products to your doorstep, supporting both wholesale and retail purchase. They deal on health products like anti-diabetic drugs, anti-malarial drugs, analgesics, allergy and inflammation, cholesterol regulant medicines, dental care ,herbal products, etc. Their head office is located at 2/4 jay momoh street, off chivita avenue, along MMA1 road, Ajao estate, Lagos state. Their website is www.bigcrosspharmacy.com, while their contact telephone numbers are 08060233328, 08110517088, and 08023529327. 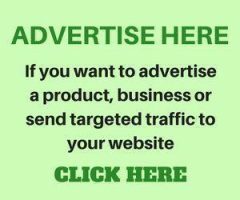 This is one of the best drug store operating online in Nigeria. They sell and offer both wholesale and retail pharmaceutical services. You can visit their official website at www.alphapharmacy.com. Their telephone numbers are 08098440862, 08134041020 and 01-2951801. They have branches scattered around the country especially in places like Lagos, Port Harcout, Enugu, Abuja e.t.c. Alpha pharmacy Nigeria Lagos address is at 2B, Alabi Street, Off Toying Street, Ikeja. Nigeria pharmacy office address is 51 Dolphin Plaza, Corporation Drive, Dolphin Estate, Ikoyi Lagos. This pharmacy was established to provide access to trusted source of supply of medicines and other health products.